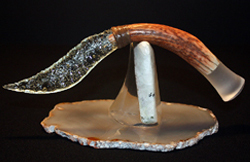 Artist Mario combined exotic tiger eye, hand polished to a sheen, and infused it with knapped pale green slag glass for an exquisite 6″ knife blade. 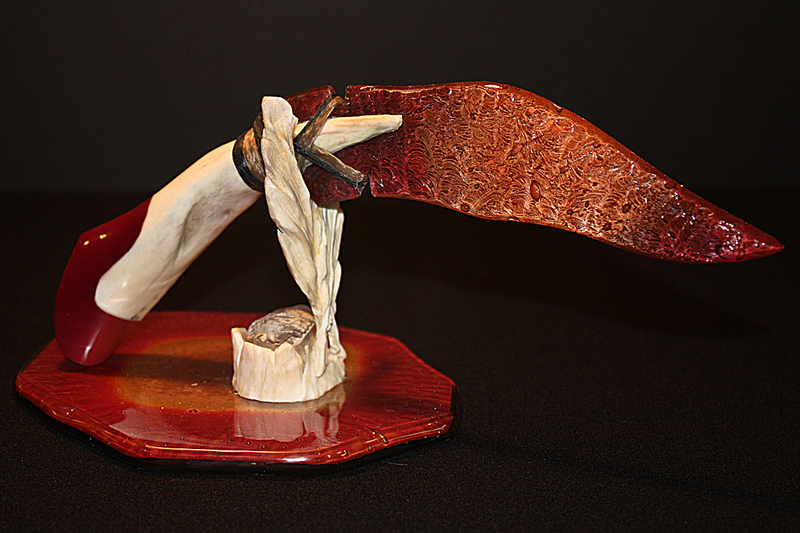 He then overlapped it with a 5″ polished semi-precious red onyx handle and hilt creating an awesome 10″ sculptured knife. 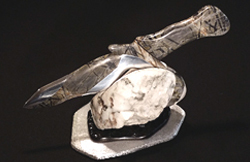 But he didn’t stop there! 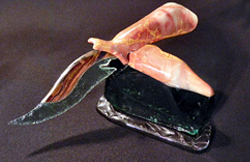 He polished emerald green slag glass and infused it with additional polished red onyx, then mounted the knife from the top. 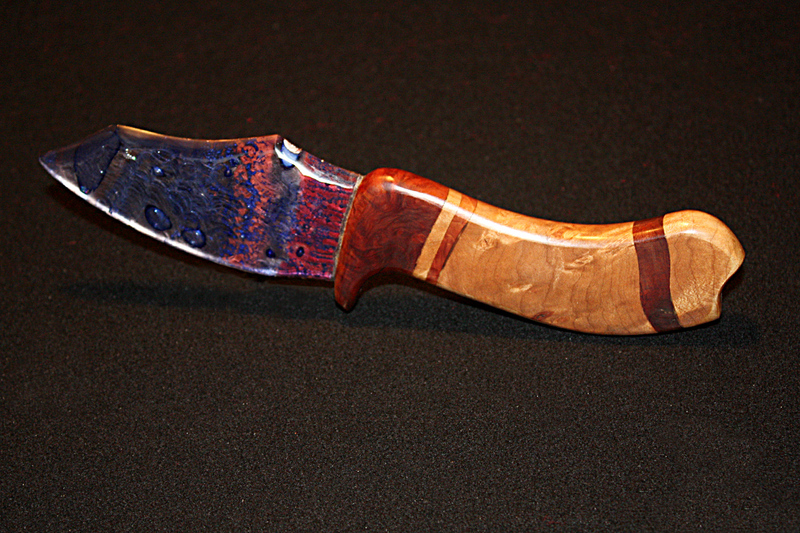 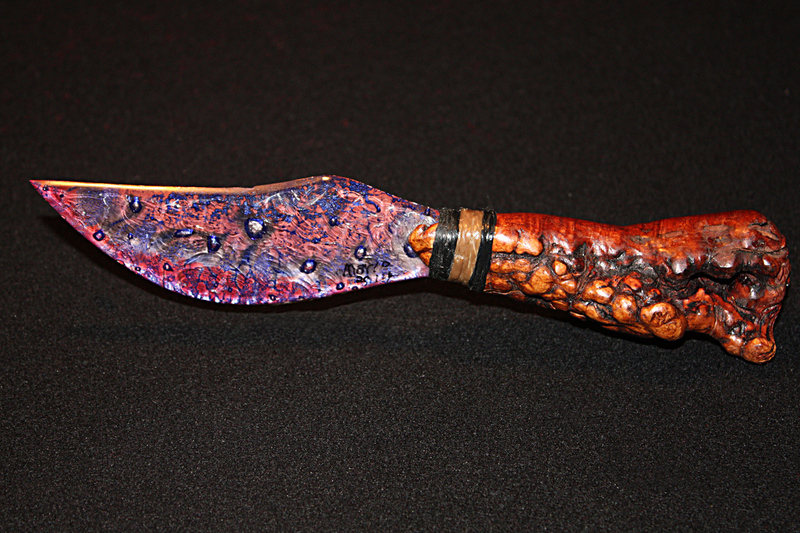 The knapped rainbow obsidian base completes this awesome knife sculpture. 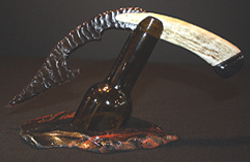 Personally signed by the artist, this work of art is ready to be the centerpiece of your own collection.